II. 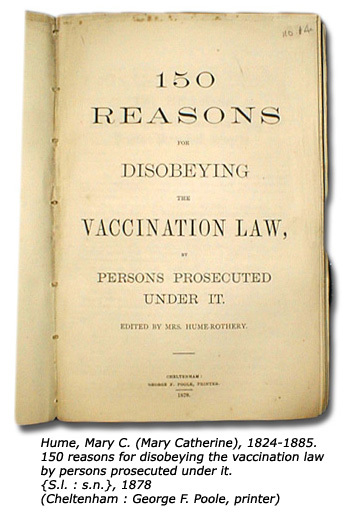 That vaccination is a poisoning of the blood through wounds in the skin precisely analogous to the stings of poisonous plants, insects, and scorpions, and to the bite of serpents and mad dogs, capable of producing, and frequently in fact producing consequences as deadly as, and often far more lastingly horrible and injurious than, any of these; and that it never can and never does protect from small-pox, except by killing its subjects, or sending inwards to the vital organs, the blood-impurities which might otherwise have been safely got rid of by means of the natural eruptive process. On the direct and indirect testimony of their own supporter and advocates, an UTTER AND ABSOLUTE FAILURE! Of such Acts as these, what can be said-but that they are a foul and lasting disgrace to Queen, Lords, and Commons who enacted and sanctioned them; to every Government-and especially to the so-called Liberal Government-which maintains and administers them; and to the nation-nation not of freemen, but slaves!-which tolerates their existence!